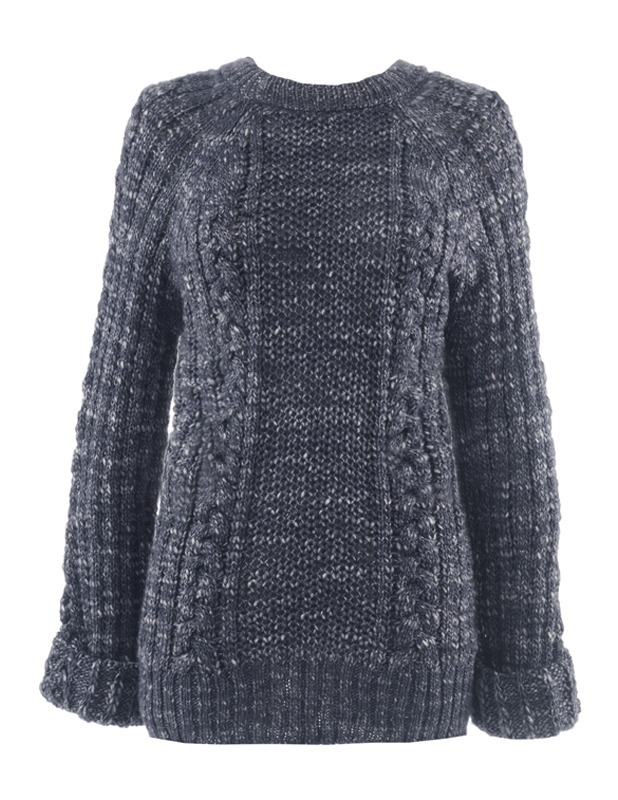 Handknitted in a relaxed ‘boyfriend’ shape in soft, textured merino wool; team with jeans or leggings. I have waited a year for this jumper to come back on sale to post this review. This is a beautiful jumper and I would urge anyone to buy it as it is truly a bargain at the sale price. I am size 10 and 5’ 6” and I bought a Small which fits perfectly, the length comes to the top of my thighs and the bracelet sleeves come to my wrists. This jumper is very warm and cosy merino wool and whilst being extremely comfy to wear still looks smart.